Mexican food has taken the U.S. by storm. There's Tex-Mex, New Mexico-style Mexican, Arizona-style Mexican, California-style Mexican, and authentic, real Mexico Mexican. 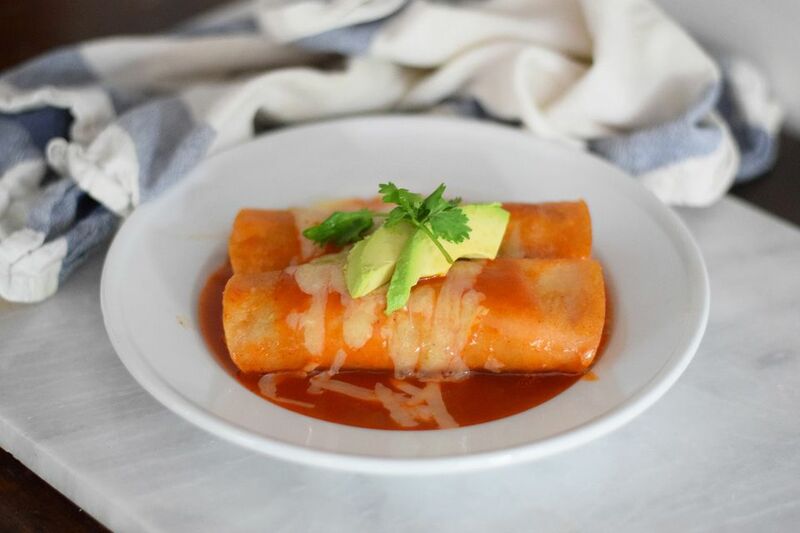 But regardless of which (slight) variation you prefer, enchiladas are always on the menu and hold a top-of-the-list position for just about every lover of Mexican food. Don't worry! You don't have to wait until you go out to a cantina to have this delicious concoction. Enchiladas are easy to make at home and are a tasty Saturday night family dinner or casual main dish for a gathering of friends. Don't forget to break out those top-shelf margaritas for a full-on south of the border feast. Warm the oil over very low heat in a heat-proof shallow dish or skillet. You want it very warm but not burning hot. Keep another heat-proof dish or skillet over low heat to keep the tortillas warm. Dip each tortilla in the warm oil for 5 to 8 seconds until the tortilla is warmed through and pliable. Set aside in the warming pan so they stay warm until you're ready to use them. Put the homemade or purchased enchilada sauce in a shallow dish or bowl so that you can easily dip the tortillas in it. Do the same with all the tortillas. Lay the sauce-coated tortilla in the bottom of a 9- by 13-inch baking dish. Place 2 to 3 tablespoons of cheese or your filling of choice down the middle. If you've used a chicken or beef filling, top that with shredded cheese. Fold one side over, then the other side. Turn the enchilada over, seam side down, so the tortilla stays closed, and place it in the baking dish. Repeat with each tortilla until you have filled the dish. Depending on the amount of filling of used and the size of the tortillas, you will use between 10 and 14 tortillas. Pour the remaining sauce evenly over all of the enchiladas in the baking dish. Sprinkle any remaining cheese over the top of the enchiladas in the baking dish. Heat the oven to 350 F. Bake for 20 to 30 minutes or until the cheese is melted and bubbly. If you can, let the enchiladas sit for 10 minutes to cool down before serving. Accompany them with a lettuce and tomato salad with crumbled Cotija cheese (the Mexican version of Parmesan cheese), guacamole, Mexican yellow rice, and refried beans. To make it easy, buy shredded chicken at the deli in your grocery store or buy a rotisserie chicken and shred the breast meat for your filling.